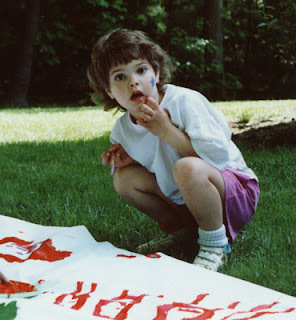 Gwen Diehn, the book making and journaling maven, has a new release of her 2010 hardcover volume, Real Life Journals. 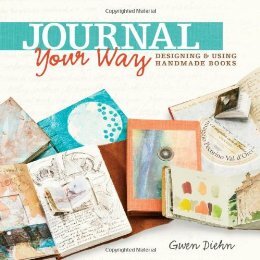 Re-released as Journal Your Way by Lark Books, Gwen's book remains one of my favorites for beginners who want to dive into practical book making. And if you're an intermediate who hasn't already bought the original book, I think you'll enjoy this as well! Hands down, one of the most helpful features is Gwen's design inventory, found on pages 11 through 13. Along with the reference insert, charmingly called "Choose your own bookbinding adventure", the inventory will help you make the proper choices about binding style, size, type of paper, etc, so that your journal truly fits what you want to use it for. That is one of Gwen's main purposes: what good is a journal if it doesn't fit you and you don't use it? There are instructions for making 16 different styles of books, along with 10 styles of covers. And, nine lucky lucky people had journals custom made for them by the author, following the design inventory! How would you like to have been one of them? The Lark website has a sample project that you can try from the book if you are not certain that book making is for you. 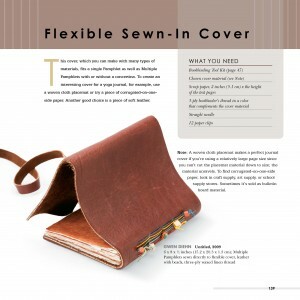 Visit the Journal Your Way post to learn to make a multiple-pamphlet with a sewn-in cover! It looks like a lovely book, Cyndi. Thank you for the reveiw and link.